This is the 20th anniversary of my first summer working at the Canadian National Exhibition, known affectionately as simply The Ex. Although much has changed in the last 20 years, including a reduction in the number of days The Ex is now open, here are six significant changes I noticed during my visit yesterday. 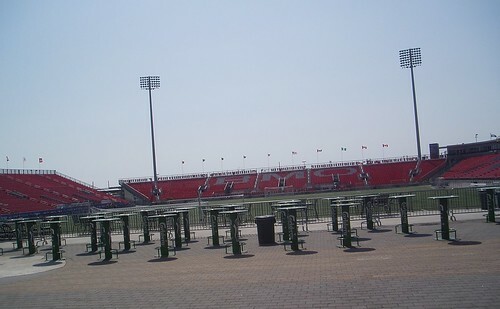 20 years ago, Exhibition Stadium was found on the Exhibition grounds. It was home to the Blue Jays and Argos and several big-name concerts. One of the biggest differences between The Ex of 1989 and The Ex of today is the absence of Exhibition Stadium and the presence of BMO Field, home to Toronto FC, a team that didn't even exist 20 years ago. At least some seats from Exhibition Stadium survived the demolition. 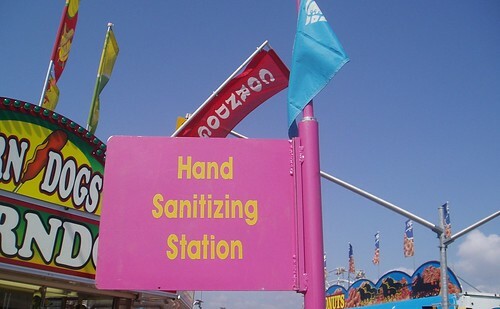 Walking the midway I noticed several hand sanitizer stations. We sure didn't have these twenty years ago. It's a wonder we survived our visits to The Ex. 20 years ago, George Bush Sr. was President of the United States of America. You didn't find a single George Bush doll available to be won on the midway. 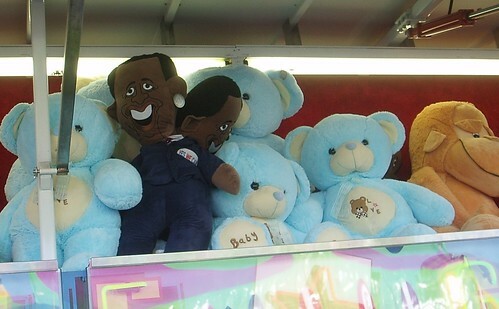 Yesterday, I spotted Barrack Obama dolls amongst the game booth flash. Yes we can! The most popular midway games in 1989 where the small betting games. You'd put money on a number or colour and the carny would spin a wheel. I think they capped bets at $5 a pop, but I can't recall. 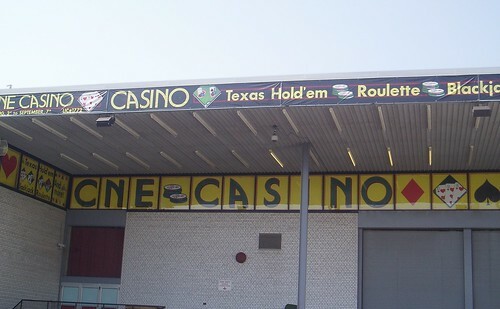 Today, there's a CNE Casino. I didn't enter the CNE Casino, but I'll bet it was filled to the brim. My old game booth, Pop-A-Ball, was located right by The Polar Express. I've written about The Polar Express before. 20 years ago, it was all rock screaming out of the Polar Express speakers. The only time it wasn't rock was when we were shutting down to the sounds of Louis Armstrong. Yesterday, as I watched the Polar Express riders, I only heard R&B blasting. It's like going from a Leafs game to a Raptors game. When you worked the same game for 60 days of The Ex in a row, you know exactly where it stood, even twenty years later. 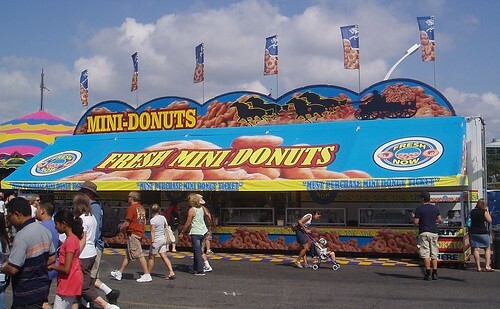 Where Pop-A-Ball once stood is now a Fresh Mini Donuts stand. For me personally, this is the most significant change of all. 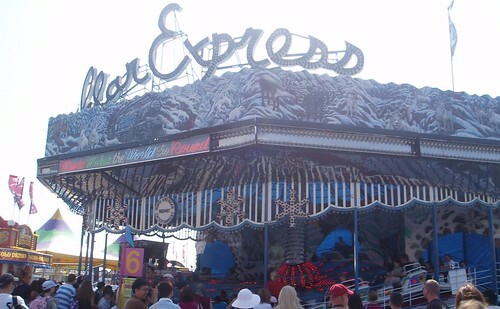 When I was at the Ex today, the Polar Express bounced between modern pop, and 80s rock... so maybe it's just trying to stay current? Fresh mini donuts got nothin' on Tiny Tom's! I guess the pandemic is news to you? Not sure if you're just observing thiese stations or take issue with them... they aren't over-kill. Wait for the winter and go to a mall or somewhere like it, then you'll see over-kill. Only.. I don't think it's over-kill. It's serious stuff. As for The Ex, I'm sort of amazed it's still around. Do they still have those donuts? The food building is about all I ever cared about. OK, so I didn't read your post to the end. Those donuts used to be in the food building. Is there atill a fod building? Ah, to hell with it.